Spacious and well furnished rooms with modern amenities for a pleasant visiting experience. 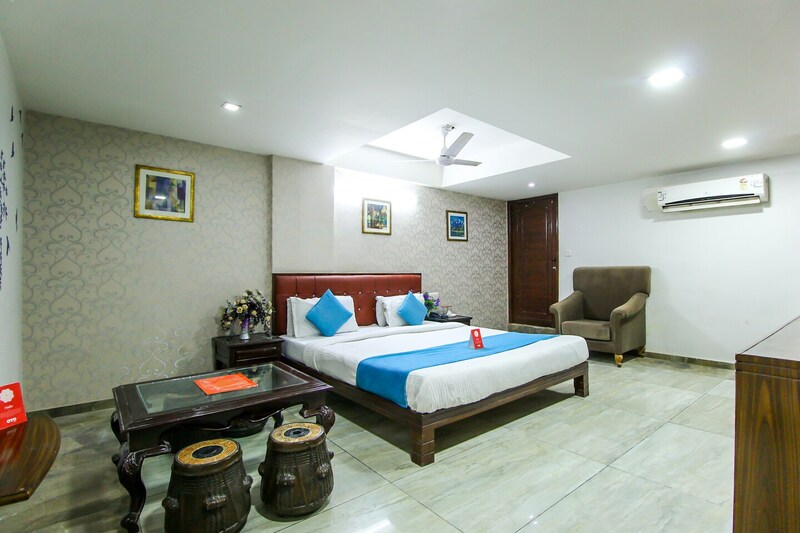 Hotel Seven is an ideal option for various travellers at a pocket friendly price. The place is known for the beautiful interior designing. The spacious rooms are simple with minimal furniture. The nature inspired wall stickers and paintings lend an exquisite vibe to the space. The cushioned headboards and the plush sofa are delightful additions to the room. The wooden accents in the room are impressive too. For tourists who want to experience the serenity of Sabarmati Ashram, this is the ideal place to stay at. The hotel offers various facilities for the guests include card payment option, CCTV cameras, laundry and free wifi services.